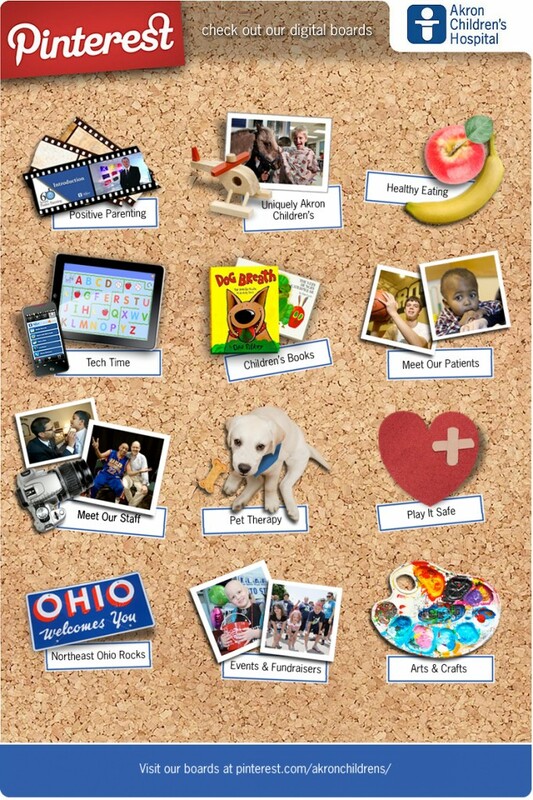 Akron Children’s recently created several Pinterest boards that allow us to share photos and stories that best represent our organization, our staff and the families we serve. Pinterest is a social networking site that allows members to collect and share images and videos of their various interests, hobbies and events by pinning them to their own virtual pinboard. It’s also one of the fastest growing social networks online. If you’re not yet on Pinterest, you must first request an invitation to join. Once you become a member, you can start organizing and sharing images of all the things you love. Visit pinterest.com/akronchildrens to get started. If you’re already a member, start following Akron Children’s.